While many palm oil buyers are aware of the importance of using sustainable palm oil to the environment, some are still doing little or nothing to help reduce deforestation and other adverse impacts of producing the world’s most popular vegetable oil in some of the most vulnerable tropical habitats around the world. With this in mind, the Palm Oil Buyers’ Scorecard (POBS) Malaysia and Singapore 2017 was jointly released by WWF-Malaysia and WWF Singapore, to evaluate which local companies were sourcing and using sustainable palm oil in their supply-chains. The scorecard also aims to encourage companies which have not yet started their journey to sustainability to do so, with guidance from WWF. The POBS Malaysia and Singapore 2017 was adapted from the WWF International Palm Oil Buyers Scorecards which started in 2009, designed to fit the local context and built upon the understanding that the level of knowledge and awareness of sustainable palm oil differs from country to country. As with the International Scorecards, this Scorecard measured how companies perform on basic steps, such as joining the Roundtable on Sustainable Palm Oil (RSPO), committing to and buying sustainable palm oil, and transparency. Consequently, the Scorecard was also structured to provide a fairer assessment for local companies. WWF believes that the RSPO and the use of certified sustainable palm oil (CSPO) are the most effective ways of ensuring the transformation of the global palm oil supply chain to more sustainable practices. As such, the Scorecard aims to bring awareness to key Singapore- and Malaysia-based companies about sustainable palm oil and to encourage them to source for sustainable palm oil in their supply chain. It is the first it kind in Malaysia and Singapore, and will be the baseline for Malaysian and Singaporean companies in recording their journey and commitment towards using, sourcing and supply of certified sustainable palm oil. The Scorecard will also help consumers and purchasers of palm oil related products to identify their favourite brands and look at the progress of those brands moving towards sustainability in the context of using certified sustainable palm oil. A total of 47 companies participated in the scorecard, with 27 from Singapore and 20 from Malaysia. The companies, which were required to complete a simple online survey, were selected from sectors known to consume palm oil and are producers of familiar house brands in the region. Survey questions in the POBS follow the requirements for RSPO certified sustainable palm oil. 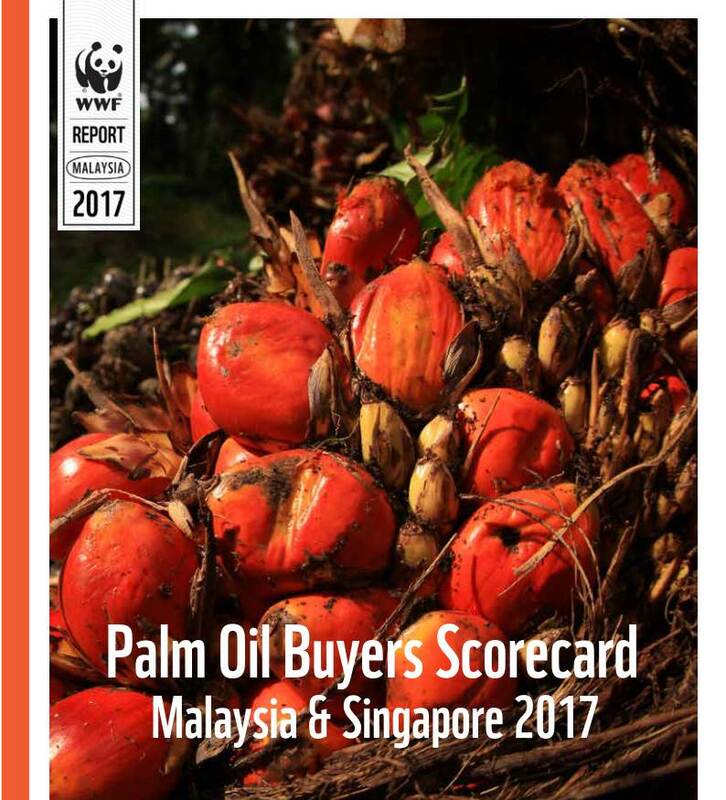 The results of the scorecard were released in conjunction with the first anniversary of the 2016 International Palm Oil Buyers’ Scorecard. WWF-Malaysia’s Sustainable Markets Programme (SMP) has worked closely with companies to change their demand patterns towards sustainably produced goods and promote sustainable consumption. This change requires a long term commitment and is not limited to large international players. Local small and medium-sized enterprises (SMEs) should take up this challenge to positively change their sourcing practices towards CSPO, and WWF would certainly be ready to work hand-in-hand with them to initiate this commitment.